Hydraulink service companies such as Matt Taylor’s are experienced in dealing with customers ranging from mining, energy, electrical utilities, bulk handling and government utilities, through to agriculture, contracting, construction, civil engineering, infrastructure, hire groups, manufacturing, transport and logistics and warehousing. A tough and versatile hydraulic hose that is 30 per cent more compact than conventional types is being used by Hydraulink service specialist Matt Taylor to radically improve the safety and cost-efficient maintenance of widely used lift vehicles and access equipment. The H-16 two-wire hose easily handles the pressures of up to 466 bar (6500psi) required for a profusion of hydraulic hoses vital to the function of crane trucks and Elevated Working Platforms (EWPs) engaged on tasks such as electrical pole, pylon and equipment maintenance and industrial and infrastructure work. The H-16 two-wire hose easily handles the pressures of up to 466 bar (6500psi) required for a profusion of hydraulic hoses vital to the function of crane trucks and Elevated Working Platforms (EWPs) engaged on tasks such as electrical pole, pylon and equipment maintenance and industrial and infrastructure work. 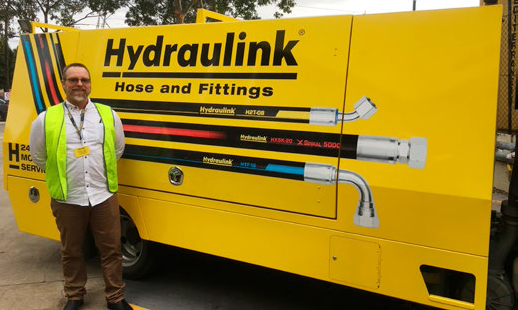 “The beauty of this latest Hydraulink innovation is that you can fit more hoses into energy chain structures within the vehicles, where they are far more protected from wear, tear and damage than individually routed hoses,” said Mr Taylor, who is Managing Director of Hydraulink Coffs Harbour, Macksville and Kempsey, an area of intense transport, civil engineering, electrical and infrastructure work. “Instead of having to squeeze heaps of different types of hoses into limited space in the energy chain, we can use the one type of H-16 hose to more safely cover multiple roles. Because it is typically 30 per cent smaller in outside diameter, we can get10 hoses easily into a space where previously it was a log jam to fit in eight. “This compact high performance translates into big benefits because not only can more hoses be fitted more easily into the energy chain where they are protected better, butalso the maintenance job becomes easier to do in areas that are very tight on space and demanding within cranes and EWPs. There is a whole bird’s nest of hoses and fittings in this equipment, all of which are vital to its safety and function. 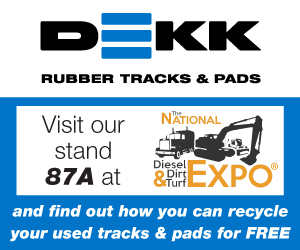 It also offers half the minimum bend radius of the traditional hose types, as well as a high abrasion resistant ‘super tough’ cover. 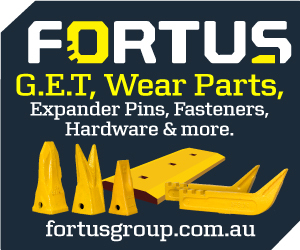 So that anything that makes the job easier and user-friendly translates straight through to big savings of downtime and money,” said Mr Taylor, whose specialist 3, 6 and 12-month preventative and routine maintenance programmes attract customers from as far afield as Brisbane and Sydney. Customers range from individual contractors involved in agriculture and warehousing through to national organisations such as electricity distribution authorities, resources and infrastructure groups, and hire organisations with an absolute focus on safety. “Safety is an imperative. If there is anything wrong with the hydraulics in a lift vehicle, users will tag it out immediately as unserviceable and send it to us to get it right. They appreciate the fact that we are on-call24/7 and understand how important properly serviced hydraulics are to avoiding downtime. 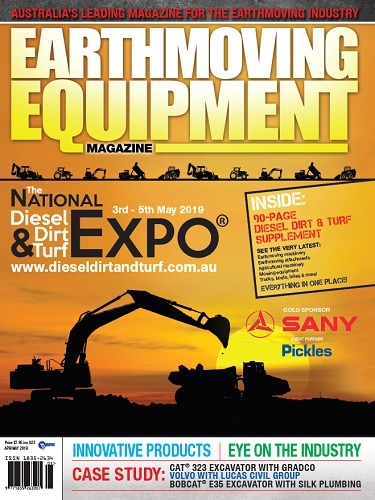 “There are heaps of things that can go wrong within the innards of hydraulically intense machinery like lift vehicles, so you have to know what you’re looking for and how to stop it happening. It’s not a game for mugs; safety is a serious business,” said Mr Taylor. 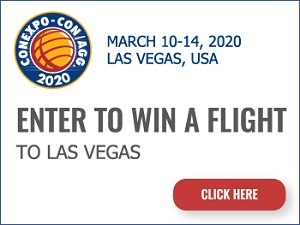 Integral to the success of maintenance programs – where time is money – are hydraulic service partners with can-do service ethos, coupled with local and national service capabilities and safety compliance and component traceability standards assured under the one brand. 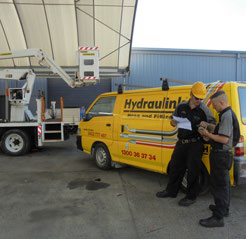 With over 400 service points throughout Australia and New Zealand, Hydraulink is supported by mobile service units, being on call 24 hours a day, seven days a week, with a focus on solving problems. Hydraulink focuses on being a service partner that shares client priorities, providing timely and efficient service, experienced technicians, personalised service and access to broad range of innovative products.